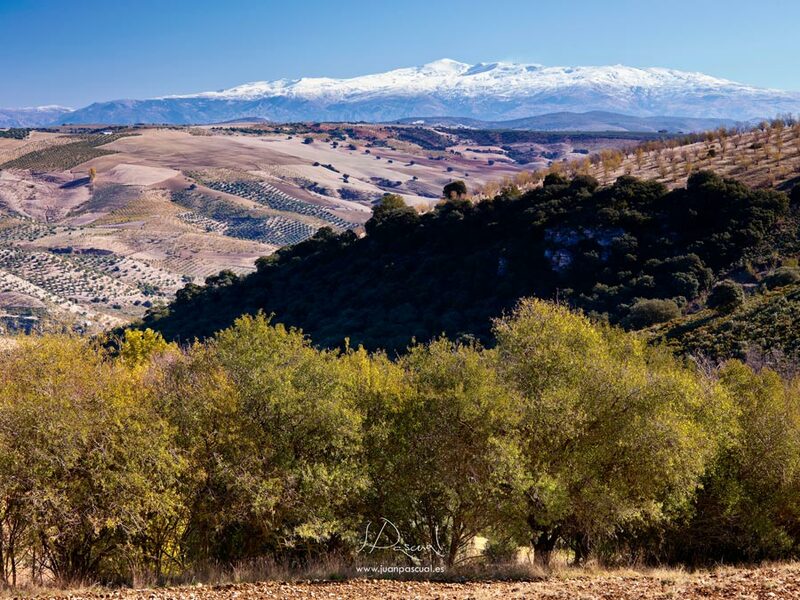 Sierra Nevada and Andalusian interior landscape. This photograph of three years of the Serrania de Ronda, autumn landscape between the villages of Pujerra Igualeja, JÃºzcar and Cartajima ago. Walk through a chestnut like this is a pleasure to behold, I was surrounded by other, brown and blue sky in the gaps between branches and leaves. The outputs to photograph the field always try them on weekdays to avoid clashing with hikers who take the field on weekends. Besides the towns and villages. They can be photographed with people doing their craft, agricultural and livestock work.